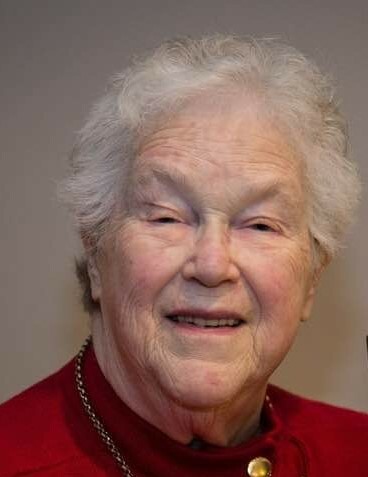 Obituary for Naomi R. (Lontz) Magee | McDonald-Linn Funeral Home, Inc.
Age 80, of McKees Rocks, died peacefully on Sunday, February 10, 2019. She was born October 21, 1938 in McKees Rocks, daughter of the late Mildred (Severn) and Merrill Lontz. In addition to her parents, she was preceded in death by her brother Hubert Lontz. She is survived by her husband of 60 years, Paul Magee who lovingly cared for her. Surviving her children, Thomas Magee of Reston, VA, Brian (Lois) Magee of Cary, NC and James (Julie) Magee of Jeannette. She leaves behind Grandchildren, Matthew (Tori) Magee, Jonathan Magee (fiancée Claire Stark), Patrick Magee (girlfriend Jennifer Celender, Kevin Magee (fiancé Chad Correll), Marissa Magee (fiancé Nicholas Meehan), Olivia Urbanic, Mark Urbanic, and many nieces and nephews. She is also survived by her sister-in-law Dorothy Lontz. She was blessed to see her first Great Grandchild Peyton Marie Magee. She will be greatly missed by her furry companion Claire. Throughout her life she touched many lives and hearts working in the florist shops around town. She had a heart of gold and was a wonderful Mom. Relatives and friends will be received Thursday 1 PM until time of Funeral Service at 4 PM at McDONALD-LINN FUNERAL & CREMATION SERVICES, LLC, 529 California Avenue, Pittsburgh, PA 15202. I'd like the memory of me to be a happy one. I'd like to leave an afterglow of smiles when life is done. I'd like to leave an echo whispering softly down the ways of happy times and laughing times and bright and sunny days. I'd like tears of those who grieve to dry before the sun of happy memories that I leave when life is done.